Due to a number of technological advances in communications and logistics, entering new foreign markets is now easier than ever before, and this ever-expanding global marketplace is proving to be very tempting for many UK companies. However, in each new market the perception of a company’s product or service will be influenced by local language,dialects, customs, cultures and regulations, which if not addressed will remain as a significant obstacle for those companies wanting to expand into new foreign markets. It is the process of ‘Localisation’ which addresses these barriers by modifying all associated written materials to account for linguistic and cultural differences. The objective of localisation is to make the translation as natural and transparent as possible, as if the document was originally written in the target language. 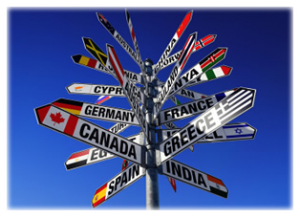 Translation with localisation services are critical for success as, although barriers to international trade have reduced and with their being many global brands, the world market place still remains diverse with many important differences. A quality Translation Company should have expertise in dozens of languages and dialects, familiarity with the cultures, laws and regulations of key markets around the world, use state of-the-art translation tools and technology, have a network of mother-tongue translators who are specialists within their fields, have disciplined management procedures designed to continuously improve quality and have extensive experience in serving the needs of global companies.